I want to confirm that this plate is what I believe it to be. 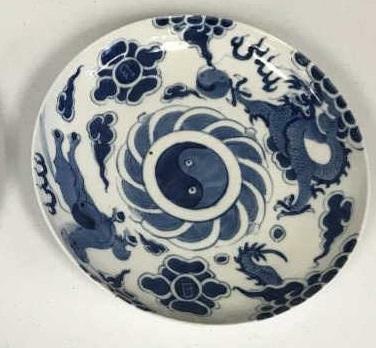 Based on my research, I believe it is rare blue and white porcelain from the Qing period with a Daoguang mark. The believe is based my inability to find any other peach symbol marks in blue on blue and white pieces. 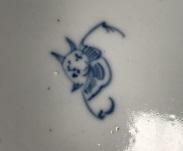 The plate also has bats on the exterior (not captured in picture) like other porcelain with the peach symbol. I believe it is porcelain.